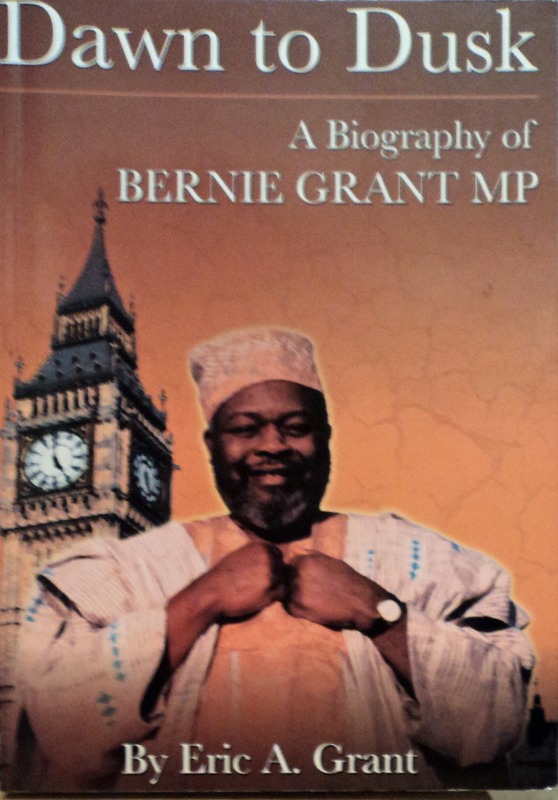 British parliamentarian Bernard (“Bernie”) Alexander Montgomery Grant (17 February 1944 – 8 April 2000), was the “African rebel” who won his street creds challenging race-class inequalities in the late Margaret Thatcher’s Britain. Not so widely appreciated, however, his strategy for a Black Agenda could transform docile Black political and academic performance in our times. Social fragmentation and brutal contempt for Black people were the strategy’s incubator. Grant opposed the Prime minister’s harsh economic policies, saying, “Margaret Thatcher has managed to create many divisions in society”. With this, Grant blew apart her myth of “people’s capitalism,” said the representative of strife-torn, multi-racial and deprived Tottenham, London. Thatcherism threatened relations “not only between regions but also between cities, boroughs and even families, separating unemployed from employed, dividing trade unionists, even men from women, Black from White and sick from healthy,” said Grant when interviewed following his maiden speech. The raging 1980s riots and protests of Blacks in Brixton and Tottenham, London, and the nation’s inner cities forced Grant into action.Times were hard for the working classes generally but hardest for racially abused Black people, said Grant, Guyana-born of African heritage. Promoting the Parliamentary Black Caucus 1989. In spirited response, Grant convened the largest and most important Black political and intellectual events of the ‘80s and ‘90s. One thousand delegates gave Bernie Grant their support at the 1989 inaugural seminar of the Parliamentary Black Caucus. Comrades included “the first real Black MPs to go through elections” Dianne Abbot and Keith Vaz, along with the senior Black politician, Lord David Pitt. Visitors brought fraternal greetings from America. The outspoken Congressman Ronald Dellums of the US Congressional Black Caucus was there. The policy chief Eddie N Williams and Russell Owens represented the prestigious US think-tank, the Joint Center for Political Studies, Washington, D.C., accompanied by representatives of US Black elected officials. A year later, Grant convened the largest gathering of academics in Britain’s history. Forty Black British, African Caribbean and Asian, academics, local activists and politicians joined in an unprecedented series of meetings in London and the University of Warwick. They aimed to create a policy institute to inform and support research and action. A State of Black Britain report was urgent. Experts were needed to organise policy seminars, run training programs and produce publications, reports, fact sheets and guidelines. Grant, who studied engineering at Heriot-Watt University, Scotland, went on to propose a university for research and policy studies. Professors and students would raise normative questions about democracy, race equality and social justice. Honorary fellows would discuss and develop African and diasporan philosophies, science, literature and the arts. Invited scholars would develop the critical analysis of Anglo- and Euro-centric intellectuals. Student fieldwork and essays would reveal the creative potential of Black communities and institutions, nationally, in Africa and worldwide. Graduates would progress in all disciplines, professions and vocational subjects that are socially useful. Looking broadly at the Strategy for a Black Agenda, major elements of its purpose, concepts and scaffolding stand out. First is the distinctive emphasis on relieving the perilous Black condition: under siege, deeply wounded and in crisis. A second element is the vision: “For far too long the black community has had no voice in Britain and we are seeking to redress that,” Grant once said. “I see the House of Commons as giving me an opportunity to make the odd speech, get a little media coverage for black causes, and most important of all, when there are issues that come up, we are able for the first time to put forward a black point of view from within Parliament. That is important in terms of image for the black community,” Grant declared. “Our formation is a vital development in ensuring the political representation of black people at national and international levels,” he said. One cannot appreciate the Black Agenda without being struck by its relevance to the ways current policies reflect Thatcher’s era. By contrast, Grant’s views are genuinely regenerative and could foster progressive rather than simply reactive protest. There is a lesson here for all “New Blacks” in politics and academics, whether elected, appointed, selected or ennobled and anointed. They owe much to Grant’s spirited insistence on “people power” against the forces of division. “It was his critique of social injustice in Britain that kept us sane during the difficult times of Margaret Thatcher’s rule,” said David Lammy, Grant’s successor in Parliament for Tottenham. Once again it is the proving ground for urban renewers and justice-seekers following the turmoil of 2012. “Indeed, it was Bernie’s alternative agenda – his hope rooted in a pragmatic, radical, and economically just Britain – that we must continue to work towards, for every life leaves in its wake valuable lessons,” Lammy said. Therefore, Lammy, of Black British Caribbean heritage, concludes in his book, Out of the Ashes, “As the constituency continues to rebuild after last summer’s riots and the cuts to public services begin to hit home, holding this government to account is more important than ever”. ← Dream girls or Amazons?